Here’s a contraption that took two thousand hours to research and ten thousand hours to build, resulting in a thrilling ride guaranteed to plaster a smile on your face. 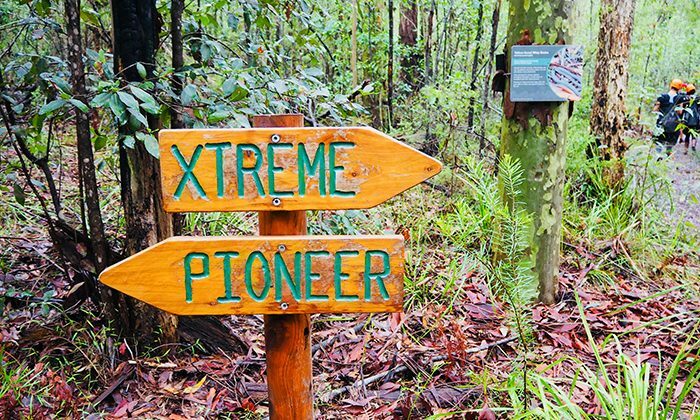 The Xtreme Treetop Crazy Rider in Ourimbah State Forest bills itself as the world’s first, fastest, highest and longest treetop rollercoaster. It is neither a rollercoaster, nor toboggan nor zipline, and yet somehow, is more thrilling than all three. Rollercoasters don’t surround you with the emerald green forests of the Central Coast, all to yourself. Toboggans don’t elevate you mid-air up to six stories high. Ziplines don’t allow you to dip, spiral and spin around trees. 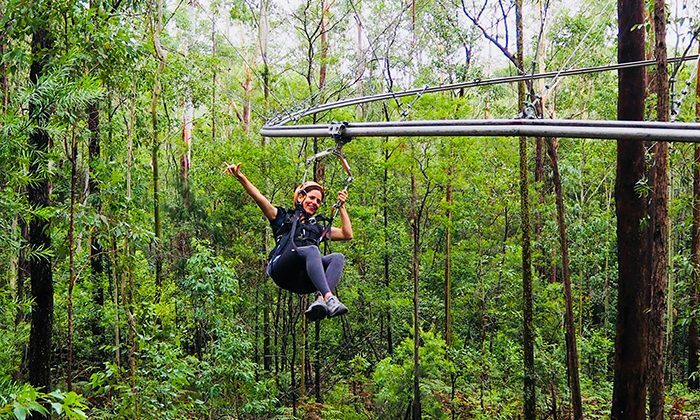 Comfortably seated in a harness attached to a sturdy rail, the one kilometre track is a wholly original Australian outdoor experience. Length of Trip : Allow 60 minutes from start to finish for the Xtreme Crazy Rider. Wheelchair friendly : Yes. TreeTop Crazy Rider is accessible to people who use a wheelchair or have other mobility requirements. Facilities include accessible dirt pathways, timber ramps, parking spaces and toilets. Family friendly : Adult supervision for participants aged 15yrs old and under is required. Pick up something to eat from a restaurant, takeaway or pie shop in the nearby town of Wyong. We visited the Tree Tops Adventure Park on our way to Port Stephens, where we stayed at the wonderful Oaks Pacific Blue Resort. By car from Sydney: Take the Wyong Exit off the M1 then follow the white on brown tourist signs. By car from Newcastle: Take the first Wyong Exit off the M1 (Warnervale Interchange), then follow the white on brown tourist signs. 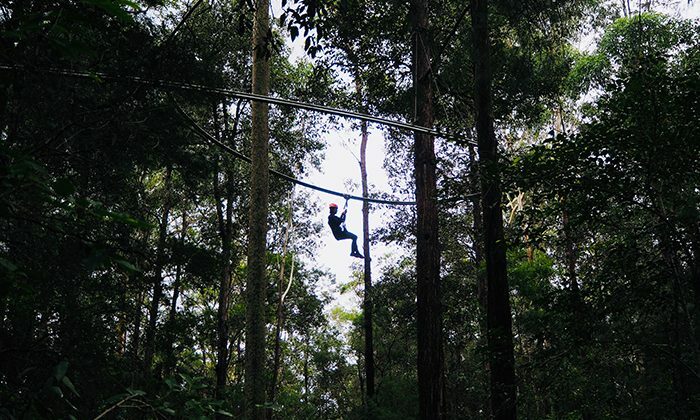 Just over two decades ago, ziplines emerged as a family and eco-friendly adventure that allowed one to appreciate the forest canopy as never before. Today zipline operations are everywhere – from theme parks to jungles – with the quality of the experience entirely dependent on your location. 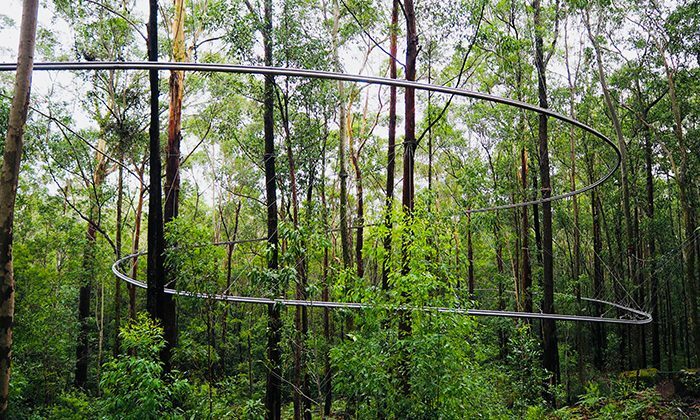 Always on the hunt for an original experience, my ears immediately perked up when I heard about a treetop rollercoaster located along the Central Coast of New South Wales. If you’ve never heard of a treetop rollercoaster, wait a couple decades, because judging by the quality of this experience, they’re going to be everywhere. 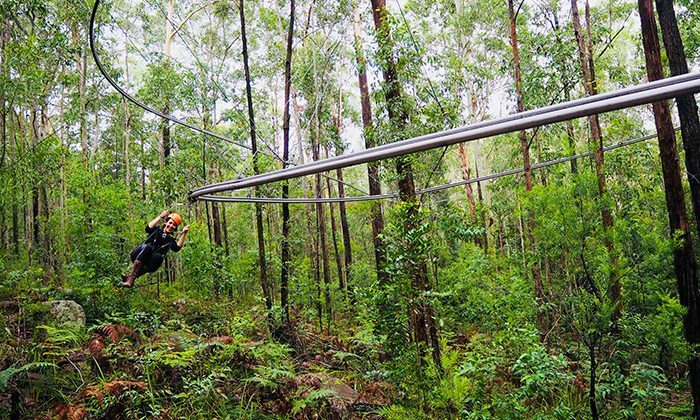 Does a treetop rollercoaster belong on the Australian Bucket List?